A yacht charter in the Bahamas will let you discover the 700 islands scattered in the ocean just a few miles off the coast of Florida. 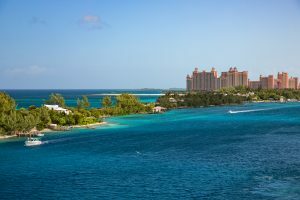 Boasting teeming harbors as well as secluded bays, the Bahamas are rightfully one of the world’s most popular destinations among yachting enthusiasts. Chamberlain Yachts offer a multitude of vessels for charter in the Bahamas, to meet all your yachting needs in style and luxury. Sparkling blue sea, pristine sandy beaches and diverse flora and fauna of the islands and cays await you in this corner of the Caribbean. Learn about British colonial history, enjoy a wide range of water sports surrounded by dazzling nature, and appreciate the tropical climate and hospitable culture that come together to make your Bahamas yacht charter into an extraordinary holiday. The sixteen main islands of the Bahamas and the hundreds of cays are ideal to indulge in some island hopping on your summer adventure. 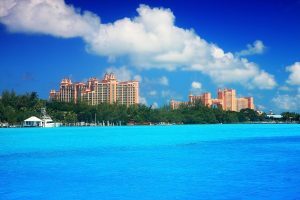 Begin your journey with Chamberlain Yachts at the cosmopolitan capital city of Nassau on New Providence Island. It offers ample opportunities to dine at fine restaurants and venture out to vibrant clubs when you want to take your Bahamas yacht charter ashore. Nassau is ideal for all your luxury shopping needs while letting you explore the historical sights and stunning nearby beaches at your leisure. The Abacos Islands form a 120km chain through the mesmerizing turquoise sea. Strewn with little harbors, bays, and full-service marinas, their coastline makes for the perfect way to enjoy some island hopping with your Chamberlain Yachts luxury charter. The Abacos are one of the top boating destinations in the world, ensuring that you will enjoy the highest level of luxury and comfort. Take your fully crewed Bahamas yacht charter to Inagua to see the nesting flamingos at Inagua National Park hover over their ruffled white chicks. While they were nearly extinct just a few decades ago, Inagua is now home to over 80,000 flamingos which can be seen frolicking on the untouched beaches and diving for shrimps in the vibrant ocean. Chamberlain Yachts offer you the best opportunity to experience nature with all the amenities of luxury yachting. Running along the mangrove-lined coast of Andros, the biggest of the Bahamian islands, the Andros Barrier Reef is the third largest reef in the world. Its underwater paradise of vibrant coral is teeming with exotic fish, many of which are rare and exclusively found in the Bahamas. The reef is a spectacular sight of colors and shapes, waiting to be discovered by experienced scuba divers on a marine exploration like no other. If the guests on your yacht charter in the Bahamas prefer snorkeling, the historic shipwreck sites off the coast of San Salvador offer plenty of opportunities. The pristine blue waters with their unparalleled clarity and visibility make the Bahamas a superb and highly sought after destination for fishing, and our highly experienced Chamberlain Yacht crews will happily show you the most exclusive spots. 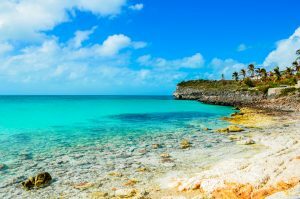 A yacht charter in the Bahamas offers plenty of opportunities for adventure, but if you are craving calm and solitude, the deserted beaches of Long Island beckon with their white sands and secluded bays. 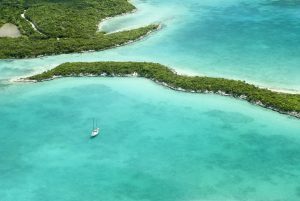 The Exumas are made up of over 300 different islands scattered in the sea like precious jewels, and sailing along them on hundreds of kilometers of quiet aquamarine waters will offer you a glimpse into paradise. A Bahamas yacht charter can provide you with all aspects of the yachting holiday experience, no matter what activities strike your fancy. The team at Chamberlain Yachts has an expert knowledge of the Bahamas and can create a bespoke itinerary to suit your personal tastes and requirements. We work together pooling our knowledge and contacts to ensure you enjoy the best yacht charter in the Bahamas. Chamberlain Yachts is more than a charter agency. Our diverse services include yacht management, crew placement, accounting, safety management and shared yacht ownership. We offer an unforgettable yachting experience for even the most seasoned travelers. Above all, we are dedicated to a professional service and ethical practices. Please contact us if you are interested in a yacht charter in the Bahamas. Get onboard your yacht at the Atlantis Hotel and Marina and discover the labyrinth of aquariums and swimming areas of the world’s greatest man made marine habitat. Enjoy your favorite cocktail and indulge in a customized dinner by your very own on board chef. Savor a fresh, tropical breakfast before cruising the crystal- clear waters to the historic town of Spanish Wells. Anchoring along the way you can have a laid back lunch on the top deck and perhaps a refreshing swim or snorkel. Your captain will guide your yacht into Harbour Island. Take a stroll along the flower-lined streets of Dunmore Town, recently dubbed the “new St. Barths”. Renowned for blissfully colored houses and white picket fences, this elegant small town has many art galleries, restaurants, and boutiques. Diving enthusiasts will forever cherish the sight of an unusual underwater train wreck. Stay Overnight. 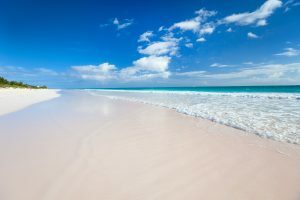 Take a walk along a peaceful 3-mile sandy beach, colored pink by millions of coral fragments, and relax in the sun or perhaps enjoy a morning of water sports. At the beach you’ll be served a spectacular buffet style picnic lunch. Then, cruise back through Spanish Wells and onto Governor’s Harbour to overnight. One of the most appealing communities in the Bahamas, Governor’s Harbour has magnificent charm. This quaint rustic town showcases elegant, painted houses and a beautiful pink, sandy beach on the eastern side of the island. Tour the town and surrounding area on a golf buggy. Cruise up to Ten Bay Beach for a swim before leaving after lunch for your 54 nm cruise to Highbourne Cay. Overnight. Explore the magnificent beach, go bone fishing on the flats, and feed the sharks and stingrays in the morning. 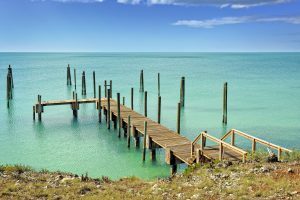 Then start your journey to Warderick Wells Cay, part of the Exuma Land and Sea Park, where you’ll find walking trails and a variety of wildlife including Bubba, a 4-foot barracuda, who lives around the north anchorage. Visit Pirate’s Lair off Capture Beach or explore the ruins of an eighteenth-century loyalist settlement off Rendezvous Beach. After lunch leave for Staniel Cay, which offers some of the most spectacular waters in the world, brightly painted houses, and friendly people. Thunderball Cave is a great underwater cave where shafts of sunlight illuminate the fish inside the cavern. Famous in the James Bond movie, “Thunderball”, this is a great cave for snorkeling. Overnight. Return to Nassau for disembarkation and have a safe journey back home.